If you’re looking for a career change and are interested in becoming part of the growing cannabis industry, now is the best time. 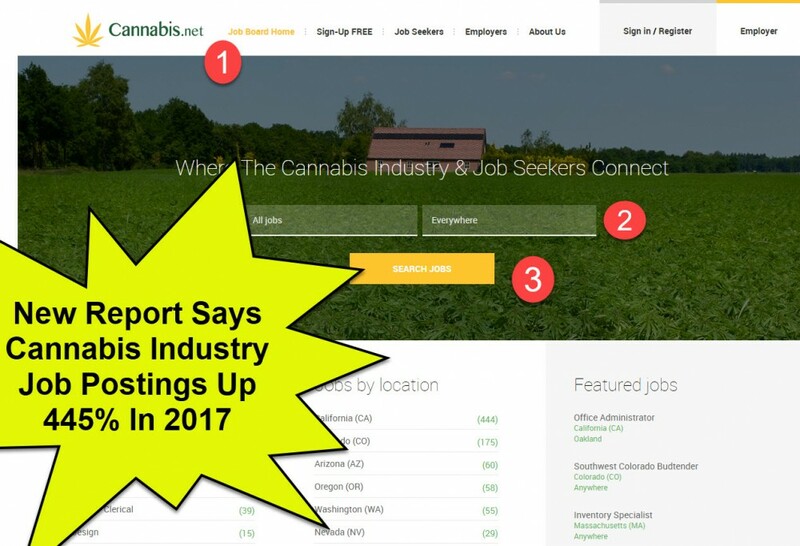 A new report released by ZipRecruiter revealed that the total number of cannabis industry job postings saw a significant increase of 445% in 2017, while 2016 only saw an increase of 18%. The data also says that the cannabis industry is growing even faster than some of the fastest-growing jobs today; cannabis is currently surpassing the tech (254% growth) and healthcare (70% growth) industries. “Our Q4 data for 2017 revealed an especially dramatic leap in the number of new cannabis industry job posts. The number of cannabis industry job posts increased 693% year over year and 79% quarter over quarter. This impressive growth can probably be attributed to SMBs preparing for the kick-off of retail cannabis sales in Q1 of 2018 in huge markets like California,” says ZipRecruiter. When it comes to the geographical locations of cannabis opportunities, there’s no surprise that most of them come from states that have legalized cannabis. ZipRecruiter’s report says that the top 5 metropolitan statistical areas (MSA) that have the most job posts for 2017 are focused on California, Washington, and Colorado. Other MSA’s that have the most cannabis-industry job openings include Los Angeles, San Francisco, Denver, Seattle, Miami, Portland, Las Vegas, San Jose, Santa Barbara, and Tallahassee. ZipRecruiter’s report echoes the data from last year’s MJ Biz Daily’s Marijuana Business Factbook, which revealed that the legal cannabis industry employs more people than dental hygienists. MJ Biz Daily’s report was released on June 2017. It showed that there are already somewhere between 165,000-235,000 people working in cannabis, while the number of dental hygienists in the country is pegged to be at around 204,000. This means only one thing: cannabis jobs are exploding throughout America. Additionally, MJ Biz Daily’s report looked at employee estimates from the entire spectrum of cannabusinesses: individuals working at dispensaries, wholesale grows, concentrates and infusion companies, testing laboratories, and much more. The report also states that people employed in ancillary companies “that glean a sizeable portion of their revenue from the marijuana industry” were also included in the data, which means that people who touch soil and sell it to cannabis growers are also likely taken into consideration. A recent report by New Frontier Data says that if cannabis is fully legalized across all 50 states, this would generate at least $ 13.8 billion in federal tax income between 2017 to 2025. This is assuming a 15% retail sales tax, business tax revenue, and payroll tax deductions. The report says that complete legalization could also create an additional 782,000 jobs throughout the country, which can increase dramatically to 1.1 million come 2025. Cannabis jobs would employ people in all stages of the supply chain, including sellers, farmers, and transporters. Last month, cannabis industry leaders met at the District of Columbia to encourage women and minorities learn about the effects of technology while urging them to network with others. The forum became a question and answer session so that guests could be more prepared in terms of finding jobs in the cannabis industry. According to Giadha DeCarcer, CEO of New Frontier Data, individuals who are interested in getting into the cannabis industry should familiarize themselves with others who are already in, through networking, and educate themselves about laws and regulations. The forum’s panelists also encouraged attendees to use existing job skills and apply them in cannabis job roles. For example, experience in customer service, retail, agriculture, or data can land you jobs in the cannabis industry. CHECK OUT CANNABIS JOB BOARD, ENTER YOUR ZIP HERE. 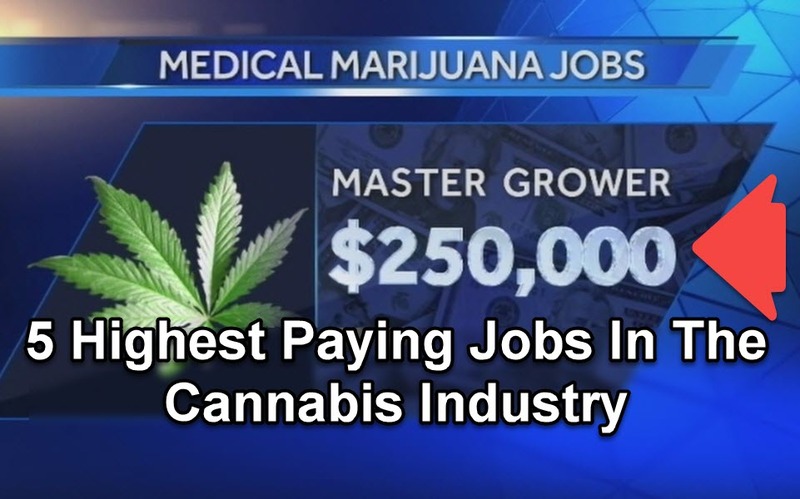 5 HIGH PAYING CANNABIS JOBS, CLICK HERE. 2017, 445%, Cannabis, Industry, Postings, Report, Says. Bookmark.